All of Kim’s designs aim to be unique expressions of the clients loves, past and present, and the sites special features. These objectives are guided by her expert knowledge of Texas flora, climate and terrain. Her desire is that each of her designs be completely new. A lifelong Texan, Kim started Rain Lily Design in 2001 after stints at Big Red Sun and Garden.com. A self taught landscape designer, she had been designing gardens on the side for many years while working at the Natural Gardener. One such project being the largest open air butterfly garden in central Texas. 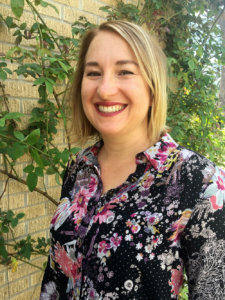 Her degree in Geography and Botany with a focus on conservation and resources at UT brought her to Austin, but it was the people, the plants and the music that kept her here. Kim loves designing to make it possible for people to live in their spaces, and especially loves making places for children, families and pets. Connectivity is a major focus in all of Meredith’s designs. Allowing what exists on the site to inform the new elements of the landscape ensures that the future installation will “fit”. This approach along with the clients style and needs create a beautiful and functional final product. 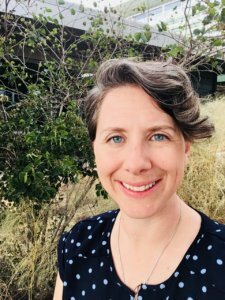 After getting her Masters of Landscape Architecture from the University of New Mexico in 2015 Meredith received professional certificates in both Historic Preservation and Urban Design. These specialties make it possible for her to work on varied projects from Historic sensitive residential designs to public commercial installations and this wide scope of styles is exactly what makes the job fun. After having lived in several states across the south, she made Austin her home in May of 2017. She loves exploring the green belts on her bike and touring the local restaurant scene. Michelle’s passion and love for plants started in her grandmother’s backyard. Working alongside her at an early age, Michelle acquired knowledge in the basics of gardening. 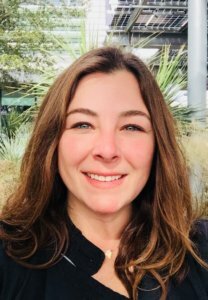 She expanded upon this base while working with some of the premier gardeners in Texas, including Buchanan’s Native Plants in Houston, and The Natural Gardener and Chris Mosier in Austin. This led to her starting her own gardening business, Earth Elements, which kept her busy for several years cultivating large productive gardens. She joined the Rain Lily team in 2015, and has been an integral part of our success ever since. With a drive for perfection and attention to detail she keeps all of the projects she touches in prime condition. In addition to her everyday work with plants, Michelle has an ever expanding home garden where she is able to try out new specimen. A proud Austinite, Michelle spends her time off with her family and exploring the city through food, running the trails, and camping.